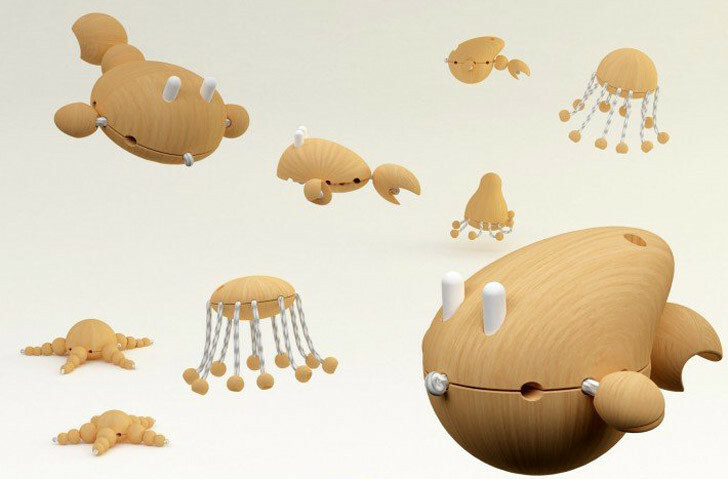 Designer and mastermind Dr. Hakan Gürsu has created a set of wooden toys that encourage creativity in young children. A refreshing change from the many kids’ toys that are either made of toxic plastics, or intent on polarizing genders, Creative Wooden Creatures are fashioned with sustainability in mind, they’re gender-neutral, and they would allow children to indulge in imaginative play. All of the body parts fit together, so your child could mix and match them to create any creature they can imagine. Whether your little one is practical and methodical, she’ll love forming creatures from the sea that can crawl about the ocean floor and ride the waves above. Or your kiddo may prefer to go wild with the amphibian and land animals to create fantastical beings. By allowing kids to dream up their own life-forms, they’ll be able to explore their own aesthetic leanings, as well as their concepts of how animals walk, fly, swim, and even sleep. These eco-friendly toys are created with sustainability in mind, using waste pieces of industrial wood processing for the body parts, and wire-filled cotton for the arm/leg/neck pieces. The wooden pieces have been waxed with paraffin to be water-resistant, and can be wiped with damp cloths to clean them. Each kit contains 72 pieces that can create 10-12 different clearly-defined creatures such as insects, lizards, crabs, and cephalopods, or kids can just go wild to create beings of their own. In addition to fostering creativity and coordination, these kits may also nurture compassion and care for animals as children learn about the different beings that also call planet Earth home. A new project, Creative Wooden Creatures have not yet reached the market, but you can check A Design Award for new product announcements and their future availability. 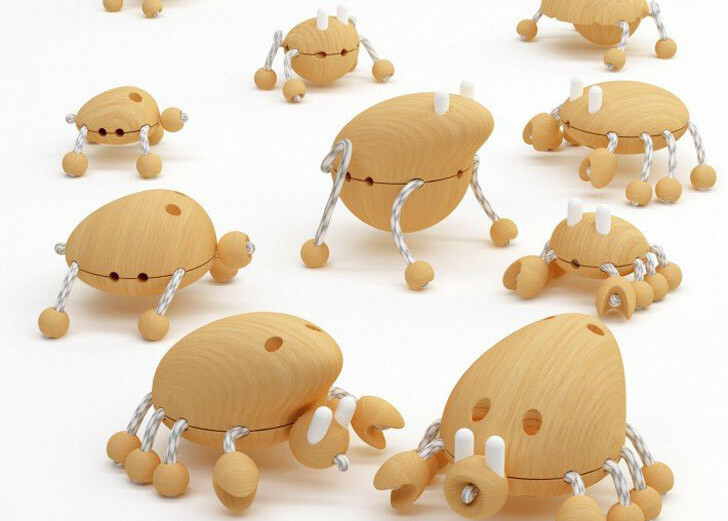 Designer and mastermind Dr.�Hakan G�rsu has created a set of wooden toys that encourage creativity in young children. 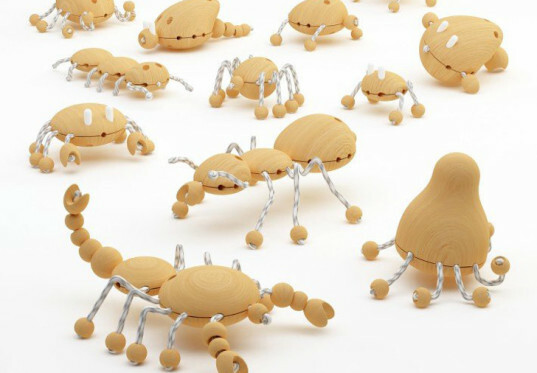 A refreshing change from the many kids' toys that are either made of toxic plastics, or intent on polarizing genders, Creative Wooden Creatures are fashioned with sustainability in mind, they're gender-neutral, and they would allow children to indulge in imaginative play.